Black and white photos offer a more poignant and sometimes more striking image in the absence of color. 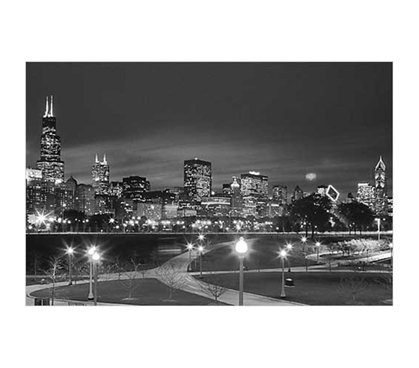 This Chicago Black and White Poster will make for a cool-looking add-on to your wall decor for college. If you're from Chicago or if it's a city you've always liked, this poster for college should be part of your college wall decor. Dorm room decorating can take many ideas and different dorm items to fulfill, but basic posters for college students will always be dorm essentials.